Today's Airport Commission report accidentally suggested Gatwick had more short-haul flights than Heathrow. We're on the case. The post Bad graphs: Gatwick needs a short-haul overhaul appeared first on Full Fact. A sobering BBC News headline greets sun worshippers on the eve of the spring bank holiday: "More than a quarter of a middle-aged person's skin may have already made the first steps towards cancer." Sunlight is made up of ultraviolet (UV) radiation. Low levels of exposure to UV light are actually beneficial to health – sunlight helps our bodies produce vitamin D.
But prolonged exposure can change (mutate) the DNA in the cells. Over time the mutations accumulate, turning the skin cells cancerous, which can lead to either non-melanoma or melanoma skin cancer. As part of a study into skin cancer, researchers analysed skin removed from the eyelids of four people aged 55 to 73 known to have a varying history of sun exposure (but not a history of cancer) to see what DNA mutations had built up. To their surprise they found hundreds of normal cells showing DNA mutations linked to cancer, called "mutant clones", in every 1sq cm (0.1 sq in) of skin, and there were thousands of DNA mutations per cell. The results were based on skin cells from the eyelids of just four people, so we don't yet know if the same would be found in other skin areas, or in other people, or what proportion of the mutated cells would eventually progress to skin cancer. The study was carried out by researchers from The Wellcome Trust Sanger Institute in the UK, and was funded by The Wellcome Trust and the Medical Research Council. The BBC and the Daily Mail reported the story accurately and reiterated the best ways to lower your risk of getting skin cancer. This was a genetics study looking at changes in the DNA of normal skin cells to see what proportions were linked to cancer. Radiation from too much sun exposure causes damage to the DNA of skin cells. When certain combinations of mutations accumulate, the cell can become cancerous, multiplying and growing uncontrollably. Scientists know about lots of skin cancer mutations, but these tend to have been studied using samples of cancerous skin cells. Researchers don't know what combination of mutations is needed to transform healthy skin cells into cancer, or in what order. Approaching the problem from a different direction, this team looked at healthy skin cells to see what mutations might be accumulating in a pre-cancerous stage. The scientists analysed the DNA of healthy eyelid skins cells removed from four people during plastic surgery (blepharoplasty). They looked for DNA mutations they knew were linked to cancer later on. The removed eyelid skin was reported to be normal and free of any obvious damage. The team used eyelid skin because of its relatively high levels of sun exposure and because it is one of the few body sites to have normal skin removed. They say this procedure is performed for age-related loss of elasticity of the underlying skin, which can cause eyelid drooping sometimes severe enough to disrupt vision, although the epidermis remains otherwise normal. The skin sample donors were three women and one man, aged 55 to 73. Two had low sun exposure, one moderate and one high. Three were of western European origin and one was of south Asian origin. It was not clear how sun exposure was assessed. The researchers found a lot more cancer-related mutations in the normal cells than they were expecting. In all, their analysis pinpointed 3,760 mutations. The pattern of DNA mutations "closely matched" those expected for UV light exposure and that seen in skin cancers. DNA is made up of a code of letters known as base pairs. The team estimated people have around two to six mutations per million base pairs per skin cell. This, they said, was lower than the number of mutations usually found in skin cancer, but higher than found in other solid tumours. Overall, they estimated around 25% of all skin cells carried a certain type of cancer-linked mutation called NOTCH mutations. While not enough to cause cancer on their own, if other mutations accumulate on top of the NOTCH mutations, they may cause cancer in the future. Dr Peter Campbell, head of cancer genetics at Sanger, told the BBC News website: "The most surprising thing is just the scale; that a quarter to a third of cells had these cancerous mutations is way higher than we'd expect, but these cells are functioning normally." He added: "It certainly changes my sun worshipping, but I don't think we should be terrified … It drives home the message that these mutations accumulate throughout life, and the best prevention is a lifetime of attention to the damage from sun exposure." This study estimated around 25% of normal skin cells have DNA mutations that could prime them to develop into skin cancer in the future. This was a lot higher than the scientists expected. The genetic analysis of the study was robust, but used skin samples from just four people. This severely limits the generalisablity of the findings to the general population. For example, the results might be different for people of different ages, sun exposures and skin colours, so we don't know if this is true for most people. Similarly, the researchers only used eyelid cells. There may be something unique about eyelid tissue that is linked to this higher than expected mutation rate. This may or may not be true for skin from other areas. At the moment, we don't know if the one in four estimate applies to other skin areas. The good news is there are simple and effective ways of reducing your risk of skin cancer. The best way to prevent all types of skin cancer is to avoid overexposure to the sun and to keep an eye out for new or changing moles. A few minutes in the sun can help maintain healthy levels of vitamin D, which is essential for healthy bones, but it's important to avoid getting sunburn. Wearing protective clothing such as sun hats, seeking shade, and wearing sun cream of at least SPF 30 are all advised. FactCheck: will Labour’s tuition fees cut help the poorest students? "Lipstick could harm baby's IQ"
The election was a massive disappointment for the UK Independence Party. Despite winning close to four million votes, it came away with just one MP. Nigel Farage was a man of his word: after losing the battle for South Thanet, he announced he would step down as party leader. There was a significant caveat, though, in that he did not rule out standing again after a “well deserved holiday”. And now, as if to thwart his plans of a nice break in Spain, UKIP’s National Executive Committee has rejected his resignation. 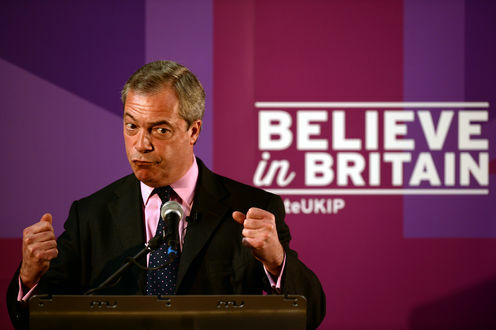 Farage will stay on as leader to fight in UKIP’s next big (and possibly decisive) battle – the EU referendum. UKIP could have spent the summer with an acting leader in the form of deputy chairman Suzanne Evans but the risk of losing three months of media coverage was far too high. And Farage’s influence cannot be underestimated. A poll taken just after the election showed his leadership may be crucial to UKIP’s survival. 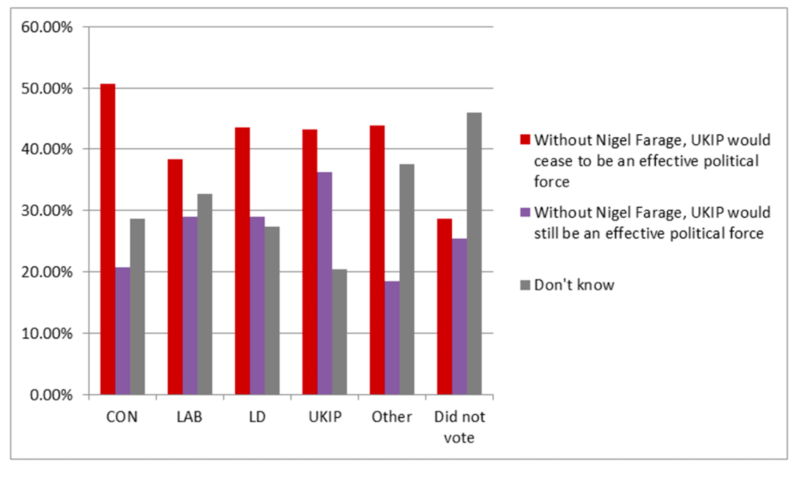 Only 25.7% of respondents believed that without Farage, UKIP would still be an effective political force. More importantly, 36.3% of UKIP voters were not optimistic about the party’s future without him at the helm. Evans, on the other hand, is far less popular among recent UKIP voters, with only 12.8% believing she should be the next permanent party leader. This demonstrates the fragility and lack of options within the party leadership. This suggests switching up would be a risky move. The EU referendum will be the ultimate test of UKIP’s ability to become a substantial and permanent political force and a strong leader is needed. Farage has already made clear that he would like a “right” referendum, with barely any involvement from the European Commission and no right to vote for non-UK citizens or 16 and 17-year olds. Of course, Nigel Farage is still a member of the European Parliament and co-chairman of the Europe of Freedom and Direct Democracy group. Even outside Westminster, he can try to influence the debate from Brussels, just as other European parliamentary groups can be expected to be involved in the referendum campaign. While it is unlikely that UKIP and Farage will play a role in the “official” no-campaign (which is likely to be managed by Tory backbenchers), the party may launch an alternative and possibly transnational anti-EU movement, with support from its allies in the European Parliament. So UKIP’s decision to reject Farage’s resignation four days after his announcement may have come as a surprise but it is strategically understandable. His roles in Europe mean that he is likely to play a role in influencing the domestic debate over the EU referendum and the lack of a viable alternative candidate at this crucial time leaves the party with little other choice. The only remaining question is what happens to UKIP if the UK votes to stay in the EU. The referendum could be an opportunity for UKIP to get back to its roots as a single-issue, pro-sovereignty party but what it does thereafter will take some serious strategic thinking. Benjamin Leruth does not work for, consult, own shares in or receive funding from any company or organization that would benefit from this article, and has disclosed no relevant affiliations beyond the academic appointment above. Ankle tags, house arrest and forced relocation: how does Britain balance security and civil rights? Britain is gearing up for an increased risk of terrorist activity, according to the head of security agency MI5, Andrew Parker. He believes that the push against Islamic State in Syria and Iraq will force many UK-born fighters to return home and some of them will inevitably continue to pose a threat. Part of their response to this will be to increase the use of preventative measures brought in to monitor people who are suspected of being a risk, but where there is not enough evidence to either try or deport them. 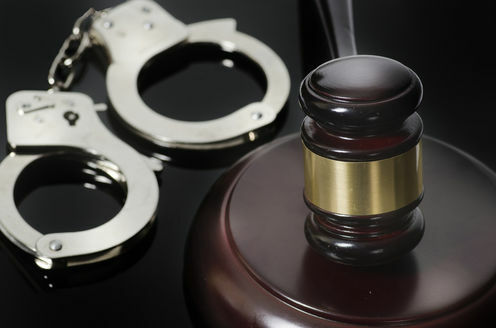 TPIMs – or to give them their full name, Terrorism Prevention and Investigation Measures – generally include some sort of a sanction such as tagging or overnight home arrest. The controversial orders made headlines in September 2013 when terrorism suspect Mohammed Ahmed Mohamed absconded from a west London mosque disguised in a burqa, despite being subject to a TPIM which required him to wear an ankle tag. The government has recently reaffirmed its commitment to relying on TPIMs as part of its counter-terror strategy. It is seeking to renew the enablinhg legislation until 2021, since it would otherwise expire in December 2016. A government statement said that TPIMs “have been and remain a crucial component of the government’s national security response”. TPIMs were strengthened under the Counter-Terrorism and Security Act in 2015 which reinstated forced relocation as one of the range of obligations that can be imposed on a terror suspect. Forced relocation was dropped when the old system of control orders was replaced with TPIMs by the coalition government in 2010. There seems to be a weary public acquiescence in the notion that reliance on these non-trial-based liberty-invading measures remains necessary in the face of persistent though shifting terrorist threats. They have come to occupy a niche from which they are now unlikely to be dislodged until 2021, if then. The renewed commitment to continuance of TPIMs might seem surprising. TPIMs have been underused – as of March 2014 only ten people had been subjected to them since 2012. Two of those absconded – and most of the other TPIMs expired after reaching their two-year limit. One suspect was imprisoned for breach of his TPIM; no information was made available on the others once their TPIMs expired. Only three TPIMs were in force by the end of August 2015 – and initially the coming into force of the Counter Terrorism and Security Act had no impact on their usage, despite their re-strengthening. Only two TPIMs were in force early in 2016 – and then only one. It appeared that they were not worth deploying in terms of their practical usefulness as part of the UK’s counter-terror response. But in late October 2016, shortly before the five-year renewal of the legislation was due, a revival of their use was reported and at present six are in force. Reliance on TPIMs remains inherently problematic. Their use damages the UK’s reputation in constitutional terms – they rely on targeting terrorist suspects to curtail their liberty without a trial. So they create restrictions that have a punitive impact but avoid the safeguards accompanying a criminal trial – including the need for proof to the criminal standard. They therefore demand a radical departure from procedural and constitutional normality. Parliamentary scrutiny of TPIMs is very limited: in formal terms it need occur only once every five years to consider the renewal of the legislation. On the other hand, there is a general public acceptance that TPIMs are effective in security terms as one minor but important part of the counter-terrorist toolkit. But, at face value, their efficacy must be questioned – since suspects are free to leave their residences during the day (TPIMs can impose only an overnight residence requirement) and may be able to abscond – as we have seen. Reliance on TPIMs must be juxtaposed to the current threat from terrorism; MI5’s head, Parker, recently stated in an interview with the Guardian: “There will be terrorist attacks in Britain” and there are about 3,000 “violent Islamic extremists in the UK, mostly British”. The expected eventual military destruction of the ISIS “caliphate” in Iraq and Syria is also likely to lead to an increase in the number of high-risk returnees who have experienced weapons and explosives training – and, of about 850 persons who went abroad to support ISIS or similar groups, about half have already returned. So it is not immediately clear what purpose TPIMs actually serve, given that if there is proof that a person has been involved in supporting terrorism they could be charged with a precursor offence, including giving support to a proscribed organisation. On the other hand, imposition of TPIMs only requires proof to the civil standard – and, also the government view is that there are some instances in which it is problematic to use security material in a criminal trial. So if TPIMs are still found to be necessary, then enhanced parliamentary scrutiny is essential. We need to ensure that the cost in terms of Britain’s human rights record is in proportion to their actual value in terms of national security. At the moment, that’s debateable. Helen Fenwick does not work for, consult, own shares in or receive funding from any company or organisation that would benefit from this article, and has disclosed no relevant affiliations beyond the academic appointment above. The post Election 2015: housing appeared first on Full Fact. The post Election claim pitfalls: comparisons over time appeared first on Full Fact. In the wake of the election result comes the inevitable bloodletting in the parties who fared badly at the hands of the electorate. By lunchtime on Friday the leaders of Labour, the Liberal Democrats, and UKIP had all fallen on their swords. The annihilation of the Liberal Democrats came as no surprise. Their demise started with the broken pledge over tuition fees. They were seen as a fairly unprincipled, power-hungry bunch who didn’t care whose 30 pieces of silver they took to get a share of government. The Liberal Democrats traditionally used to do well in by-elections, yet their candidates lost their deposits in almost every seat they contested since 2010. The writing was well and truly on the wall. The party now faces at least a decade in the political wilderness. The SNP could learn a lesson from this. With only 35% of the Scottish vote, they too could lose seats in five years time if they fail to deliver anything of substance for Scotland. 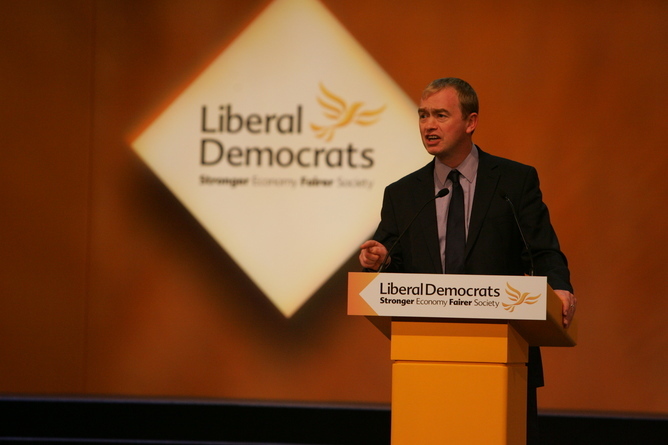 The problem for the Liberal Democrats now is who can lead them back from the brink. All the likely leadership contenders were ousted on Thursday night. Gone are David Laws, Vince Cable, Danny Alexander, and Ed Davey. There is a choice between two experienced politicians; Tim Farron, former party president, and Norman Lamb, Nick Clegg’s former parliamentary private secretary. 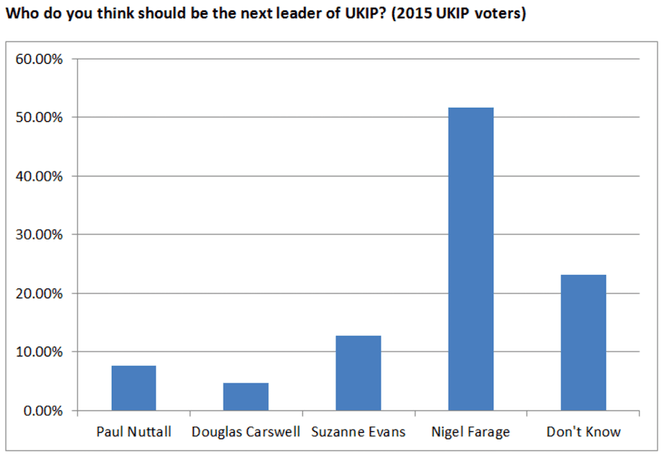 For UKIP the only credible contender is Douglas Carswell, the single candidate winning a seat at Westminster. All the support gained in by-elections and in the European elections fell away in terms of seats, despite taking almost 13% of the national vote. Fate dealt them a cruel hand and it’s not surprising Nigel Farage is calling for a change to the voting system. Who’ll keep the red flag flying? The writing was on the wall two years ago when Ed Miliband’s leadership was questioned. Instead of electing a more credible candidate to lead them into the election, the party insisted on continuing to back Ed. That was a disastrous decision and one they will regret for many years to come. At the end of the day no one would admit the party elected the wrong brother. There is something deep in the Labour psyche that puts loyalty above common sense. Ed Miliband’s limestone manifesto monument for Number 10, which later turned into a tombstone, was viewed by many as hubristic. The party has a choice of potential candidates, but many are tainted by their unswerving pre-election allegiance to Ed Miliband. Chukka Umunna must be a prime candidate. He’s seen as a bit of a Blairite and it is questionable whether the party could make that U-turn. Yvette Cooper is ambitious – and must be a serious contender, if not the outright favourite. She is a seasoned politician who refused to be drawn on her aspirations on election night. The shadow education secretary, Tristram Hunt – another Blairite – has a reputation for waging a class war on public schools. As the son of a peer, Baron Hunt of Chesterton, the trade unions would no doubt find him a difficult candidate to support. Andy Burnham is the pundits' – and the bookies' – favourite to succeed Miliband. He was a contender in the 2010 leadership election and held a number of cabinet posts in Gordon Brown’s government. Former minister, David Lammy, has also expressed an interest in the leadership, while Alan Johnson – who served in several ministerial posts in the Blair and Brown administrations, has ruled himself out. There are two outsiders. Ex-special forces soldier Dan Jarvis, a relative newcomer, to politics is known to harbour leadership ambitions. The question is whether his New Labour tendencies would be held against him. A long-odds contender would be Liz Kendall. Her support for private providers in the health sector might go against her with the unions, but their control over who leads Labour is much diminished. 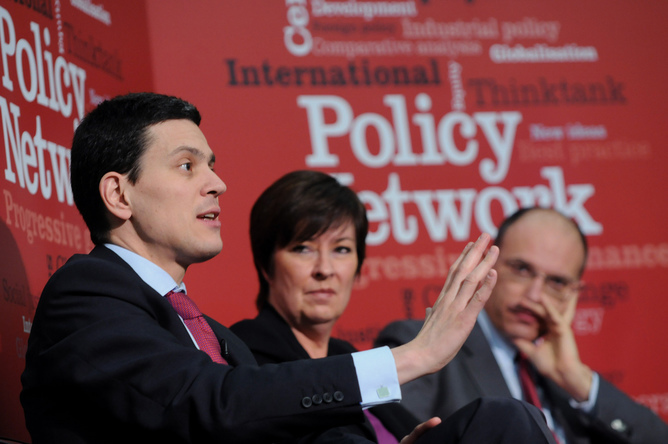 Last, but not least, let’s not discount the possibility that David Miliband could return to save the party. That would require a lot of Labour soul-searching. The next few weeks will be as entertaining as those in the lead-up to the election. We will see infighting and machinations in all the parties, none more so than Labour. For the past five years it has had both a leadership crisis and an identity crisis. The latter must be resolved before the former can be addressed. Alf Crossman does not work for, consult, own shares in or receive funding from any company or organization that would benefit from this article, and has disclosed no relevant affiliations beyond the academic appointment above. The post New jobs for foreign workers appeared first on Full Fact. The death of a British citizen, Reyaad Khan, in an RAF drone strike has led to debate about whether or not the killing was allowed under international law. The post Law and the killing of Reyaad Khan appeared first on Full Fact. "Drinking two fizzy drinks a day 'raises blood pressure'"
What’s been happening to the tax gap? The post What’s been happening to the tax gap? appeared first on Full Fact. The post Election update, 17 April: debates about the debate appeared first on Full Fact. The post Did Labour vote to stop 16 and 17 year olds voting in the EU referendum? appeared first on Full Fact. The post A very old problem: productivity in Britain appeared first on Full Fact. The post Election update, 13 April: the manifesto launches begin appeared first on Full Fact.